The latest in a long line of legendary healers, Tera is expected to be able to work miracles. There is only one problem: she hasn't yet come into her powers. When she's kidnapped by a warrior race to heal soldiers, the only way for her to stay alive is to fake it till she makes it. And that's not even the worst part. Just when Tera is about to escape, she catches the eye of the High Lord, who decides to make her his concubine. For anyone who enjoyed the fantasy worlds of George Martin's Game of Thrones, C.L. 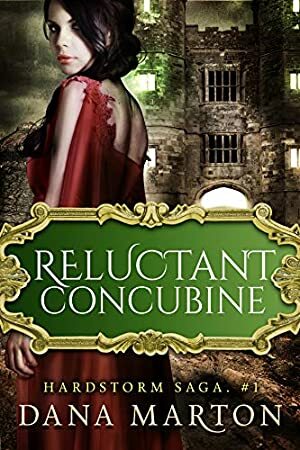 Wilson's Lord of the Fading Lands, Elizabeth Vaughan's Warprize, or the memorably crafted healer heroines in Jean Auel's Clan of the Cave Bear and Diana Gabaldon's Outlander series, RELUCTANT CONCUBINE is the next epic adventure to get lost in. Log In to track Dana Marton on eReaderIQ. to be notified each time the price drops on any book by Dana Marton. to stop tracking Dana Marton. We started tracking this book on March 6, 2015. The price of this book has changed 16 times in the past 1,506 days. The lowest price to date was FREE last reached on December 8, 2018. The highest price to date was $5.99 last reached on February 20, 2019. This book has been $5.99 3 times since we started tracking it.